Sushi Safety. Is it Something to Worry About? Is it Something You Should be Worried About? Most of us who eat sushi on a regular basis at least occasionally wonder, "Is Sushi Safety something I need to be worried about?". Well, it is at the least a logical and justified question. With that, let's start with a major contributor to what makes sushi... sushi. And the impact it has on sushi safety. Sushi grade fish is an interesting term. When you hear it or maybe even see the sign at your grocery store or sushi restaurant what is your very first thought? Maybe safety? Security? Government inspections? The answer to that... is NOT what you might think. 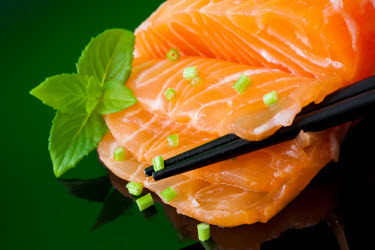 Is Supermarket Sushi Safe to Eat? How many of you pick up sushi in your local grocery store from time to time? More and more of you everyday, I dare say. 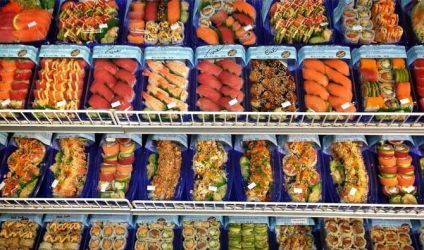 Sushi in grocery stores and supermarkets has become quite the soaring trend in the last 20 years. But Is Supermarket Sushi Safe to Eat? Many sushi lovers are women. But what do you do when you get pregnant? Is it still safe to eat it? Is eating sushi safe for your baby? Visit our Sushi during Pregnancy page to find out.